Getting married on St.John in the US Virgin Islands is romantic, inexpensive and fun. Famous for its dazzlingly beautiful beaches, crystal clear air and turquoise waters, St.John Virgin Island is your ideal destination wedding location. 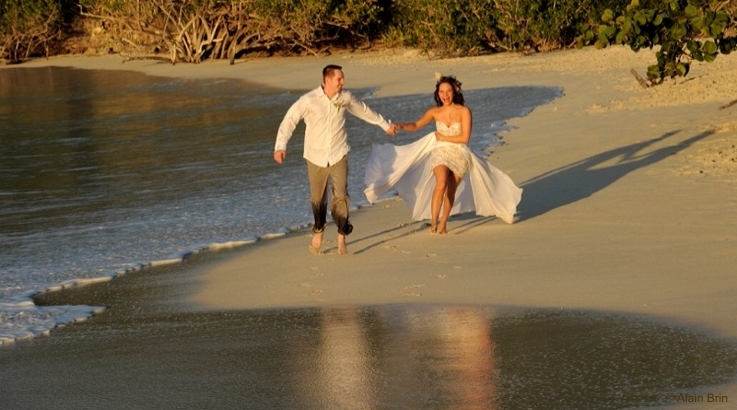 Because St.John is relaxed and fun, it is the perfect place to have your wedding and play. Furthermore, you can elope to the Caribbean and get married and honeymoon in the same romantic place. 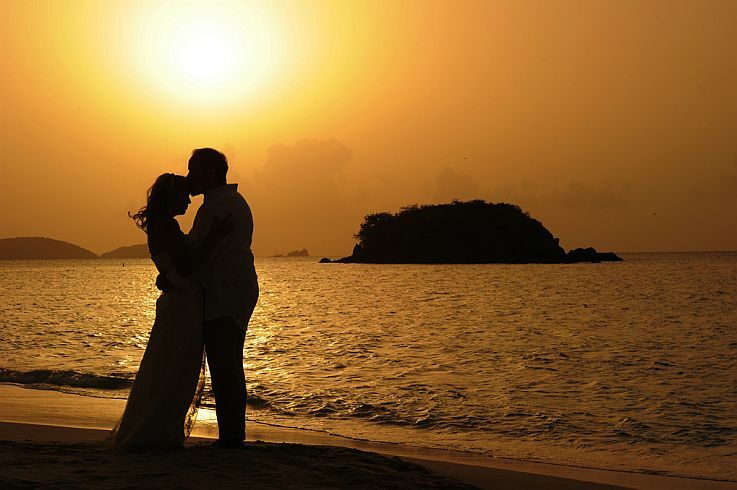 After all getting married on St. John US Virgin Islands is inexpensive, stress-free and romantic. Your wedding service can be as traditional or as non-traditional as you desire. If you are planning a wedding or renewing your vows while on St. John, please see Anne Marie Porter with www.stjohnweddings.com. She is awesome. She will help with all your questions and make sure that your ceremony is everything you hoped it would be. Your service will be problem free and beautiful. She is easy and fun to work with when you are planning your vows. She will listen to your ideas and work to make sure that your ceremony is very special and unique to you. We renewed our vows on Francis Bay last June with Anne Marie performing the service. She made it very special for us. There was a lot of communication and she really listened to what we wanted. “We were so blessed two have chosen you as our minister. To summarize, US Virgin Island destinations weddings are the way to celebrate and confirm your commitment in a romantic enchanting way. 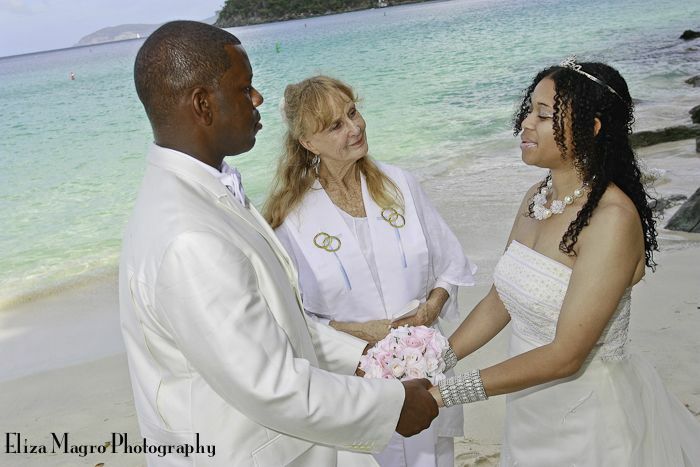 To get married in the USVI on St. Thomas or St. John with a romantic beach wedding is the way to elope to the Caribbean. 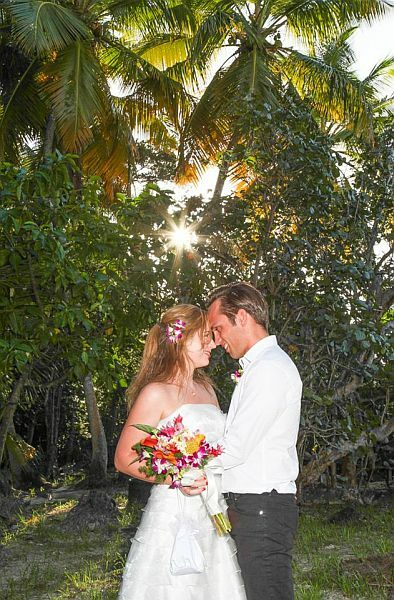 St. John is famous for its glorious sunsets, crystal clear ocean, silky white sand beaches it is the perfect place to be married by Anne Marie. Unlimited Consultations With A 35 Year Resident Who Has Married Over 5,000 Couples On St. John. Your Wedding Ceremony With The Service Personalized For Your Needs. Your Wedding Location (Anne Marie has a Commercial Use Authorization with the Virgin Islands National Park.). Two Certified Copies Of Your Marriage Certificate From The Superior Court Of The U.S. Virgin Islands. Help With Everything (Place to stay, rental jeep, restaurant recommendations, photographers, videographers, florist, caterers, musicians, everything). you should Phone Anne Marie now with your questions. St. Johns Barefoot Minister lives on St. John and has married about 5,000 couples here. Let Anne Marie personalize a meaningful wedding experience for you.